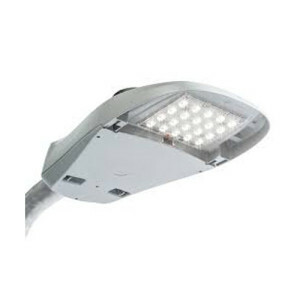 innovative, energy efficient LED products. In 2007 S2 Innovative began with a goal to education and offer LED solutions to a new lighting market. Over the past nine years we have grown and evolved with the industry and the technology keeping the conversation going and implementing new and creative project applications. We are excited about the momentum that continues to develop in the acceptance and understanding of the value in LED lighting, saving energy, maintenance and providing a better quality of light increasing productivity and safety in the work, live, play environment. Our team has learned from our experience, we would like to share our expertise partnering with you on your next project. S2 Innovative Products Group Ltd. is committed to distributing high quality, innovative, energy efficient products to those organizations and individuals who wish to join in our mission to contribute to the long-term sustainability of our planet. We will be recognized as Canada’s leading distributor of energy efficient LED lighting solutions, which will satisfy the needs of our customers both socially and economically. We stand by our products and will provide to you the manufacturers applications and notes to get the best out of your LED purchase. We do our very best to keep to the product deliveries and timelines – we will note order timelines with each confirmed order. If the product you purchased from us does not function according to the manufactures specification, you may receive a prompt replacement or refund, subject to the conditions below. Before returning an item, please call our customer service department at the number at the bottom of this page to receive a Return Material Authorization (RMA) number. A majority of the product may be returned to us for a full credit, excluding shipping charges, within 30 days of purchase. Certain items are subject to a 15-25% restocking fee. Call us for details. RMA numbers are valid for 14 days from the date of issuance. The RMA number must appear on the return packing label and/or on the outside of the box. Returns will not be accepted without a valid RMA number.